Amidst the wins and losses there have been some big headlines in this year's baseball season and fantasy owners have some big decisions ahead of them. Some are injury related, others performance related and still more left for educated guessing based on managers' decisions. Here are some of the more pressing circumstances and some direction on how to approach them from the Fantasy Baseball Black Book. 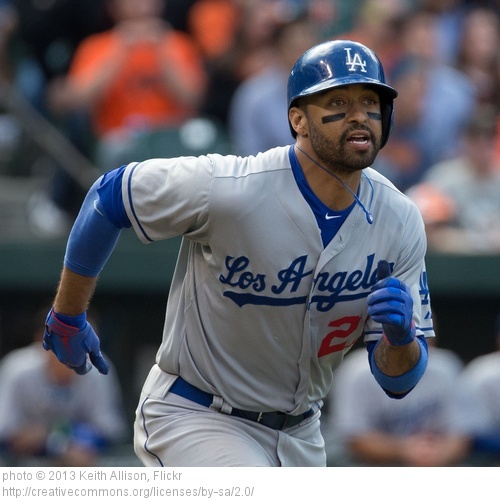 Kemp was assuredly a first round talent heading into 2013 despite dealing with injuries the year before. Despite the good press he is getting from his classy gesture to a fan, fantasy owners are starting to lose patience. His OPS is below .700, his average under .275 and he has but 1 (yes 1) home run to show for it all. He is healthy and that is the most important thing. Hanley Ramirez won't be back anytime soon so Kemp must rely on a rebound from Adrian Gonzalez to give him some protection. Still, I would be buying low on Kemp in any and all formats. He may not steal more than 20 bases again since he is more of a run producer at this stage of his career, but he is sure to have a hot streak in him just as staggering as this current cold one. Of you drafted Kemp as your franchise player, you have no choice but to sit tight and wait for the rebound. In the meantime try and add Michael Saunders OF SEA for some immediate help. he has a nice blend of power and speed; or Corey Hart OF MIL, who is returning soon from the DL as insurance should Kemp's struggles linger. Is Roy Halladay worth holding? Depending on your format and DL felxibility chances are no. He is heading for another arm surgery and it would be surprising to see him take the mound again in 2013, but anything is possible. Halladay has thrown the 3rd most innings in baseball since 2002 and he has a lot of miles on him. In a keeper format, I would hang onto him if the circumstance and/or contract was amenable. He has an option with the Phillies and would be pitching for his life basically in 2014. Johan Santana's shoulder failed him in the same circumstance this season, but Halladay has a different injury. In one year only leagues, if I owned Halladay I would be fielding low ball offers and see if I could squeeze a Trevor Bauer or Hector Santiago from an owner who wants to gamble on Roy. If you want to pursue Halladay in your league, I would offer a young upside starter without too much track record, but to me the risk is far greater than the reward for this season. And the Red Sox closer is.....??? First Joel Hanrahan tanked then got hurt. Then Andrew Bailey flourished, stole the 9th inning job and promptly went on the DL. Now, Junichi Tazawa will get a crack. Of the three, Bailey is the one I would want. It seems this injury is not serious and he could return in the 15 day window. He has experience, is in his prime and seems to have the attention of manager John Farrell. 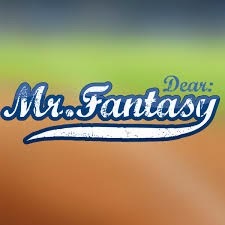 Is there help for your ailing fantasy rotation? There are a ton of starters coming off the DL in the weeks ahead. John Danks, Matt Garza, Francisco Liriano, Ivan Nova and Colby Lewis. Lewis has the most upside in my opinion seeing as he was the best of this grouping last year and is playing for a contract. he has a great K/BB ratio and should get some nice match-ups in that division. Liriano is intriguing based on the success fellow hard thrower/head case A.J. Burnett has enjoyed since moving to the NL Central. His K rates are always strong though he is prone to implosion. Garza is sure to be dealt if he can string together a solid two months for the Cubs. Danks is a wait and see and Nova is pitching for his rotation spot with David Phelps and Michael Pineda breathing down his neck. What will the Reds do when Cueto comes back? Mike Leake is clearly an average/below average starter and Tony Cingrani is obviously a flame thrower with promise. Still, it is unclear who will hold the 5th spot in the rotation when Johnny Cueto returns. The Reds are in "win now" mode and fantasy owners clearly would prefer Cingrani to hold his spot. Considering the fact they put Aroldis Chapman back in the bullpen where he belongs and Leake is comfortable pitching out of the pen I give it 55/45 Cingraini stays over Leake. This is their window and Baker has ridden young horses to the playoffs before with the Cubs. Although we all know what became of Kerry Wood and Mark Prior.